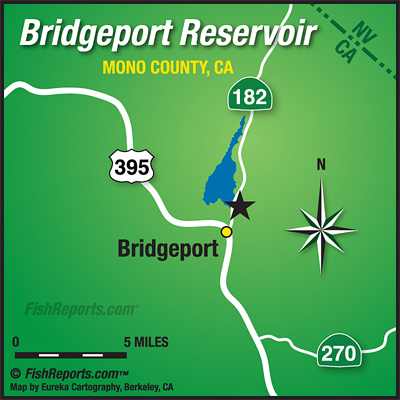 Bridgeport is still fishing excellent, mostly up in the Buckeye Bay Area. There has been a little bit of trolling going on but mainly on the South end of the lake as opposed to near the dam. There’s a lot of weeds so make sure you pay attention to your lures and keep them clean. Bait fishing has been the best with pinched crawlers, night crawlers, mice tails and power bait. We’ve also talked to a few anglers who have bagged some fish throwing lures while anchored in the bay, thomas bouyants, kastmasters and panther martins have been working for this. We haven’t talked to any fly anglers who’ve been over to the other side but it sounds like either stillwater nymphing or stripping streamers should be good.